As a blogger, I receive a ton of new makeup, haircare, skincare and beauty products each month. While this is amazing, in the sense I’m able to test out new goodies to share my thoughts and opinions on with you guys, a lot of these products end up getting donated to my friends and family, as I know I’ll never get around to using them all. I’m so appreciative of these amazing perks and I take pride in knowing that I’m always honest with you guys. I only showcase and promote items I truly believe in, but that being said…which ones would I spend/ have spent my hard earn money on? I thought this would be a fun series for my blog, maybe every few months sharing items that I’ve been loving and that I’m going to repurchase. 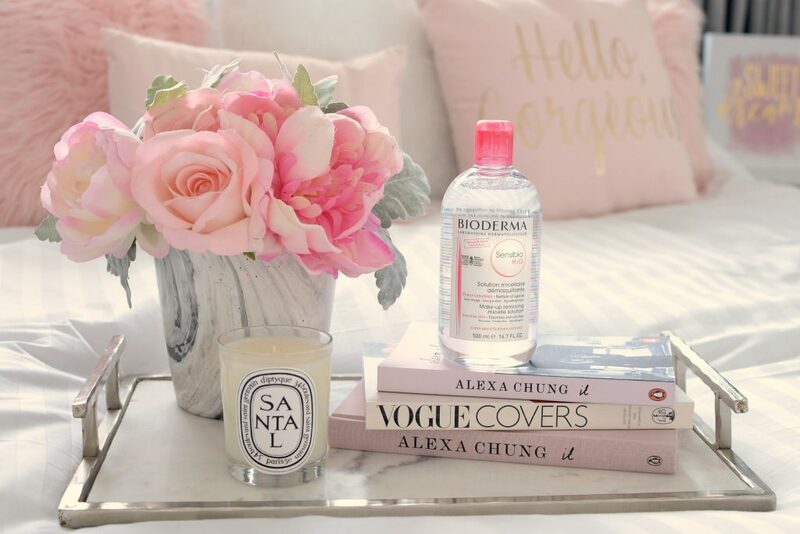 I don’t think there’s anyone who hasn’t tried or at least heard of micellar water? I remember years ago, attending a private breakfast with Bioderma CEO David Durand, who’s brand arguably started this revolution, and thinking…what’s all the hype about? After my first use, I was hooked. Although other brands have tried to compete, Sensibio H2o is still my personal fave. This makeup removing and skin-perfecting product is legit and everyone needs to try it at least once. It’s packed with soothing and decongesting ingredients that wash away all traces of dirt, oil, makeup and daily grime. It quickly became a staple in my daily, evening skincare routine simply because of the fact how easy it is to remove my makeup at the end of the day. 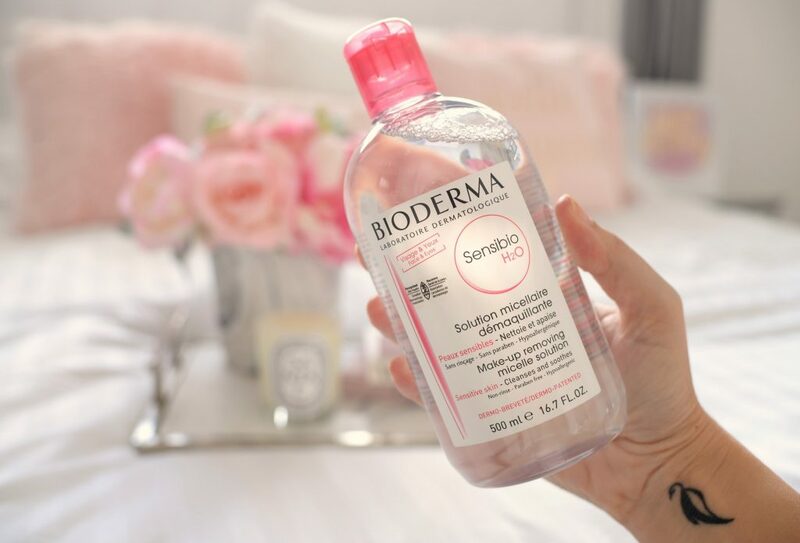 Unlike other micellar waters that leave a nasty, oily residue, Bioderma Sensibio H2o eliminates all traces of water-resistant and waterproof makeup without a greasy film. Simply soak a cotton pad with its lightweight, ultra-mild formula and cleanse and remove makeup from the face and eyes. It’s a non-rinse remover that doesn’t sting or irritate the eyes. It helps to soothe, decongest and add moisture back into the skin. It also helps to soothe skin, leaving it soft, clean and hydrated. For those that are in a rush in the evening or don’t want to fuss with several products, this will remove in one simple step. It retails for $19.99 for 500ml. I love that Pixi is widely available at Shoppers Drug Mart now. I quickly fell in love with their Glow Tonic, but until now, it was hard to get a hold of. It’s formulated with 5% glycolic acid making it a gentle, yet aggressive exfoliating toner. Immediately after a single use, you’ll see brighter, more toned and hydrated skin. A quick swipe around your entire face will help remove all dead skin cells to reveal a more radiant and glowing complexion. After each use, skin will become softer and smoother than before. Since it’s also formulated with aloe vera, it’s slightly less irritating than other acids. It has a slight cooling, almost refreshing tingle that’s gentle and safe enough to use daily. 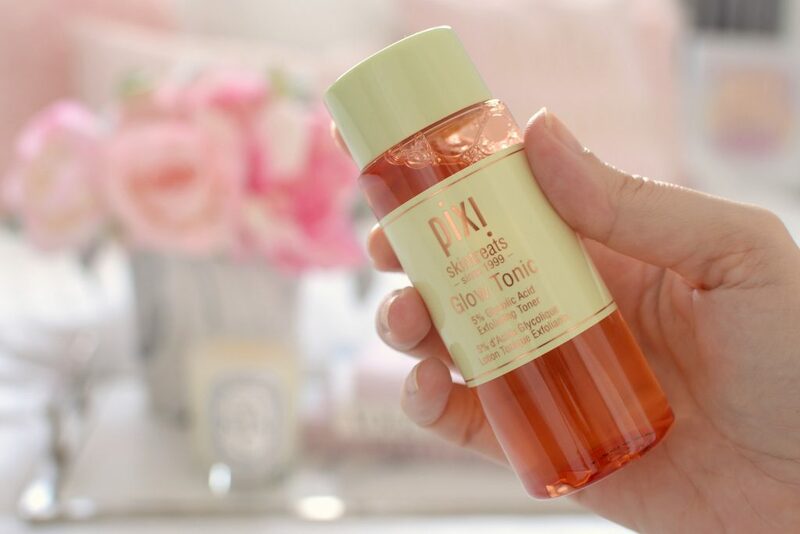 Pixi Glow Tonic is an affordable way to achieve a more youthful, plumper and hydrated complexion in as little as a few days. 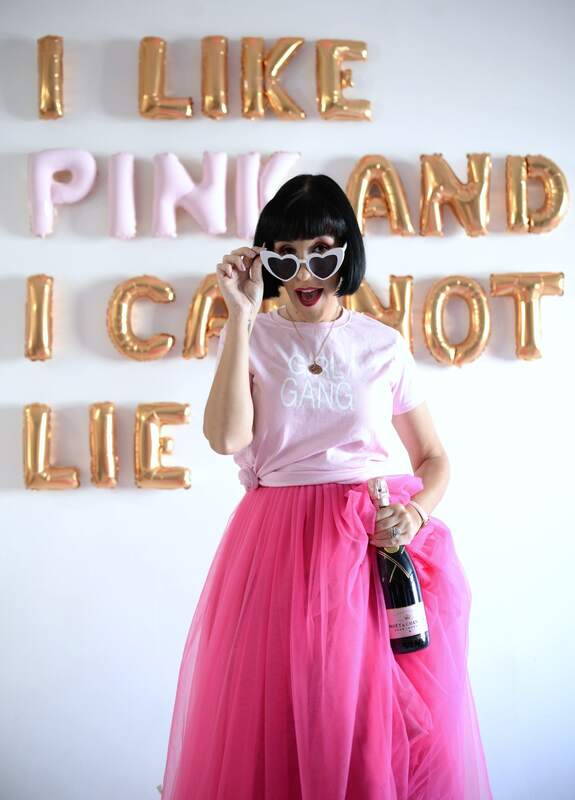 It’s no wonder this quickly became a cult classic and beauty bloggers fave around the world. It’s an instant glow enhancer that’s suited for all skin types. I already have a few backups in my collection to ensure I never run out. It’s one product that no matter my skincare routine, I always include. It retails for $20. I was late to the Sunday Riley Good Genes Lactic Acid Treatment bandwagon, but as you guys know, I’m obsessed with it. When the brand sent me their Bright Young Thing Visible Skin Brightening Kit, I was beyond thrilled. I have already repurchased the Good Genes bottle twice, which is found within this kit, but I hadn’t really experimented with anything else from the brand. 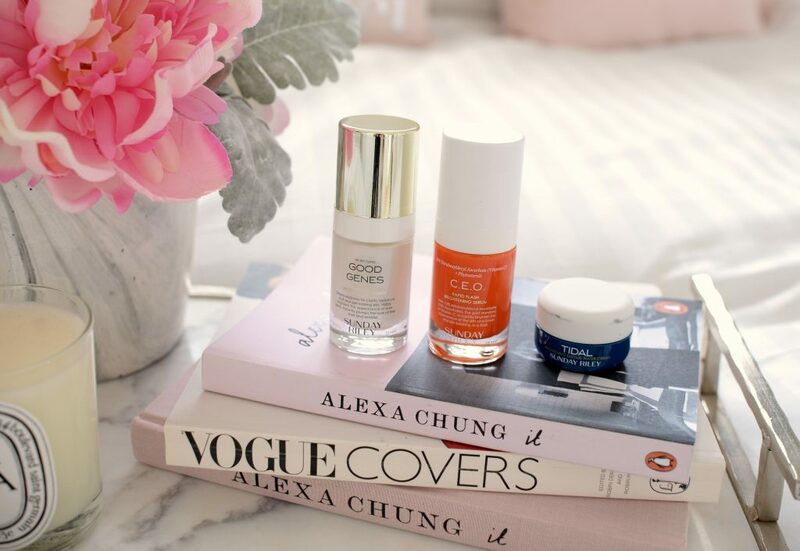 This power trio features the Good Genes, along with a brightening enzyme water cream and rapid flash brightening serum. When used together, it will help retexturize, brighten and illuminate the skin for a healthier, younger-looking appearance. Obviously, the star of the show is the Good Genes, thanks to its lactic acid formula that helps to instantly exfoliate dry, dull skin, while removing clogged pores for a smoother, softer complexion. The Rapid Flash Brightening Serum contains advanced vitamin C which helps to visibly illuminate dull areas of the skin, while brightening discoloration. It also provides amazing anti-aging benefits that can smooth fine lines and wrinkles over time. Finally, the Brightening Enzyme Water Cream features alpha-arbutin and papaya enzymes to not only help with dark spots but provides a slight plumping effect. You’ll also find hyaluronic acid, which helps keep skin nourished and moisturized the entire day. 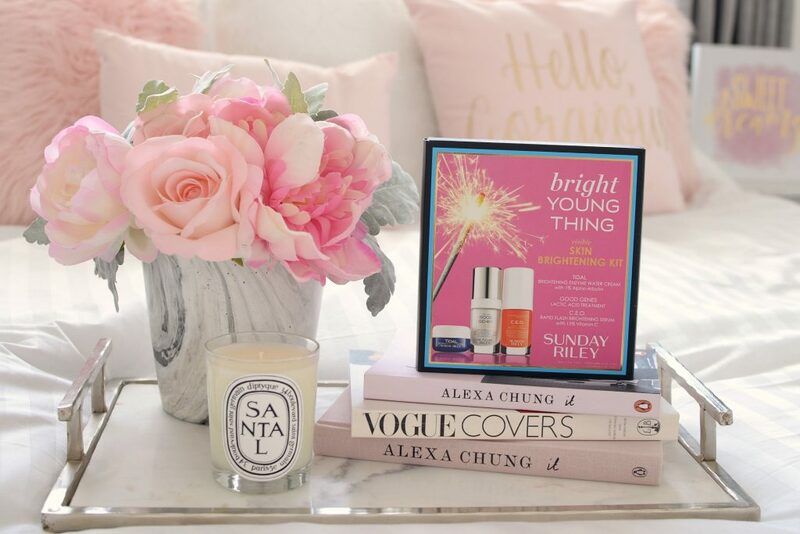 If you’re looking to turn back time and achieve a healthy, radiant and luminous glow as when you were a teenager, this kit is for you. It retails for $115. 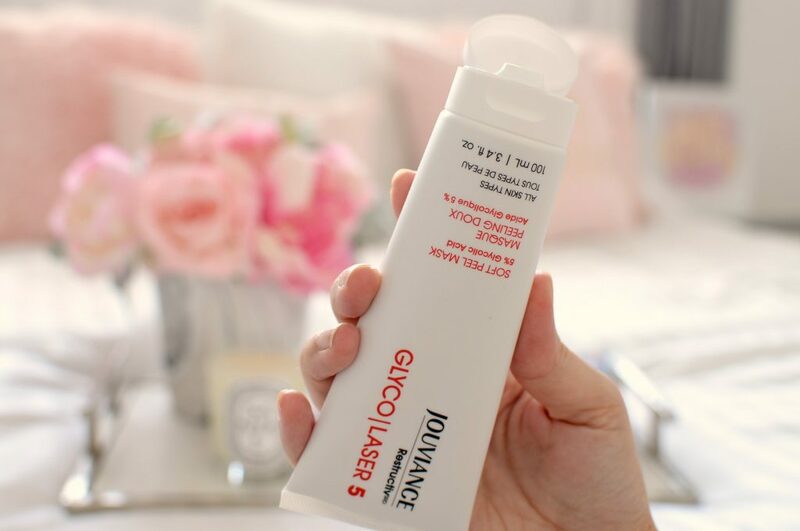 If you follow me on Instagram, you’ve probably heard me talk about Jouviance Glyco/Laser Soft Peel Mask 5% Glycolic Acid before. Out of all my skincare products, this is probably the one I’ve repurchased the most, and the one I’ve been using the longest? A mild exfoliating mask, like this one, can help reveal cleaner, revitalized and younger-looking skin by gently “peeling” away impurities and dead skin. It’s formulated with both AHA and BHA, along with 2 earth clays, to help deliver a superior multi-action exfoliation. Unlike strong chemical peels that you receive at a salon, the ones that tend to leave your skin feeling incredibly dry and dehydrated, this peel features a slow-release system containing hyaluronic acid and jojoba seed oil, to help ensure skin stays moisturized. Start by applying an even layer of Jouviance Glyco/Laser Soft Peel Mask 5% Glycolic Acid all over your face and then wait 10 to 15 minutes. It instantly exfoliates the skin, sloughing away all dead skin for a fresher, brighter and more even complexion after the first use. Your skin will be left visibly smoother, baby soft and with a healthy, radiant glow. It helps to diminish pores, reduce hyperpigmentation and sun spots, all while clearing up any current breakouts and eliminating future blemishes. Its non-drying formula helps to ensure skin stays hydrated without irritating the skin. Continue a few times a week for youthful, healthy and glowing skin. It retails for $40 for 100ml. By now, I’m sure you’re sensing a theme, I like brightening products. 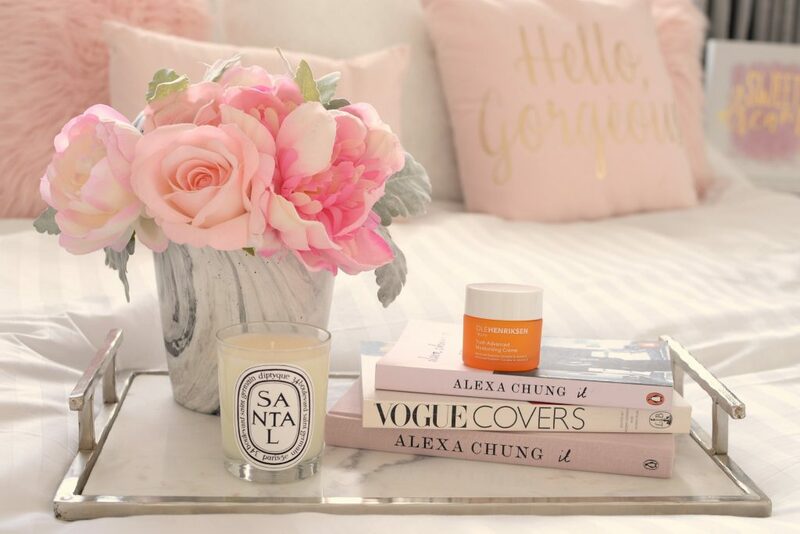 You’re heard me go on and on about the OLEHENRIKSEN Power Bright 3-Step Professional Brightening System, so although I wanted to include it into this post, I thought I’d share a recent new discovery. The OLEHENRIKSEN Truth Advance Moisturizing Crème was sent to me just before the holidays, and I’m about ready to purchase a second bottle of it. 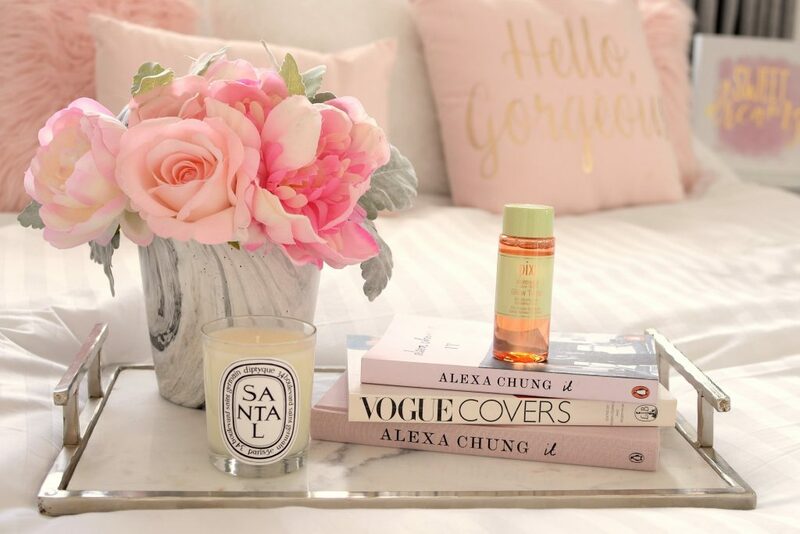 For someone who is looking for luminosity and hydration, this is like a match-made in heaven. It’s formulated with vitamin C and tri-peptides-5 to not only keep skin incredibly soft, supple and moisturized all day, it also helps to create a youthful and radiant glow. 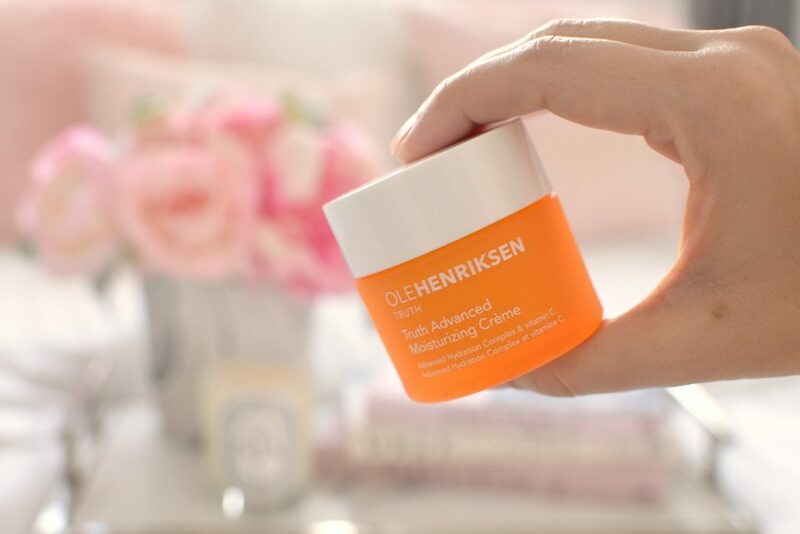 OLEHENRIKSEN Truth Advance Moisturizing Crème lightweight, non-greasy formula helps to nourish and hydrate the skin for all day protection. It instantly penetrates deep down into the skin’s surface to help improve texture and elasticity after a single use. It immediately helps to hydrate, soften the look of fine lines and plump the skin. This silky-smooth cream takes years off your skin age after one treatment. It adds a touch of radiance to the skin, without looking shiny, perfect for applying under foundation for that healthy glow. In the evening it quickly goes to work to nourishing the skin and provide a moisturized and dewy finish by morning. It retails for $48USD. For someone who has dry skin, 365 days of the year, a hydrating mask is a crucial part of my weekly beauty routine. I’ve tested my fair share of sheet masks, and For Beloved One Melasleep Brightening Mask always comes up on top. 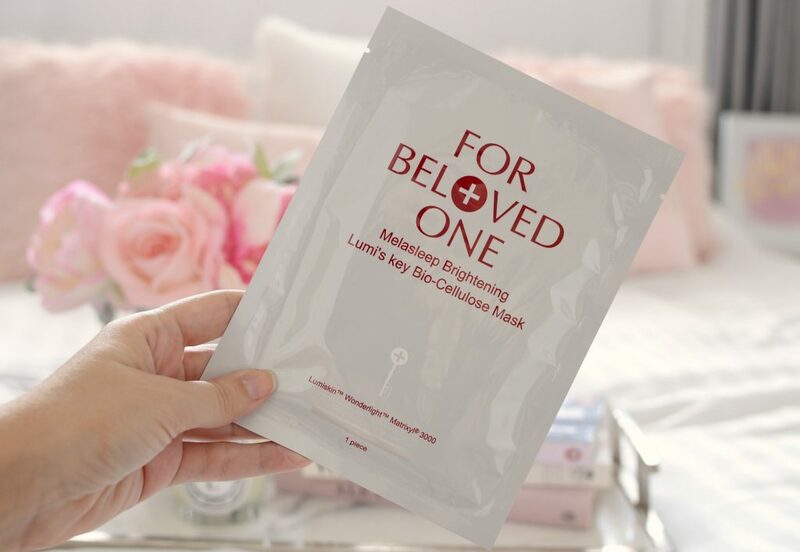 These aren’t your typical paper sheet masks, they’re actually made up of organic fibres that go through a fermentation process to ensure it bonds and adheres to the skin tightly. Although the mask can be left on for upwards of 2+ hours without it drying out, the optimal time is only 20 minutes. The masks feel incredibly soothing once applied to the skin, with an almost slight cooling sensation. It then begins to tingle, while the brightening agents do its thang. After desired time, peel and remove. Beloved One Melasleep Brightening Mask immediately leaves your skin looking and feeling plump, hydrated and silky smooth. The tone of your skin is noticeably brighter and with less redness. Since each mask contains an entire bottle of serum, it leaves skin feeling touchably soft and moisturized for days to come. It rejuvenates dry, dull skin into a healthy, youthful and luminous glow. It does an amazing job at restoring your skin’s natural radiance in as little as a few treatments. It retails for $63 for a box of 3 at T&T Supermarket. I never really understood thermal spring water until I was sent one from Avène. I always thought it was a gimmicky and unnecessary step in my beauty routine. It seemed like these French brands were just selling water inside a can and charging a small fortune for it. 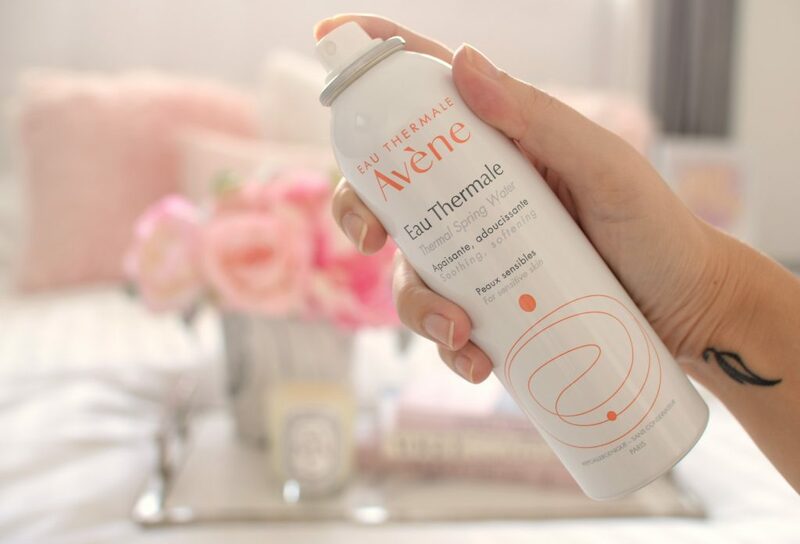 I started using Avène Thermal Spring Water in the winter of 2013 and have been hooked ever since. The bottle said to use as often as necessary, which for my dry, dehydrated and irritated skin, meant all the time (especially in the cold winter months), so that’s just what I did. I now spray it whenever my skin is feeling extra thirsty and it’s a travel must-have. I tend to buy the baby bottle for travel and the larger size for home use. 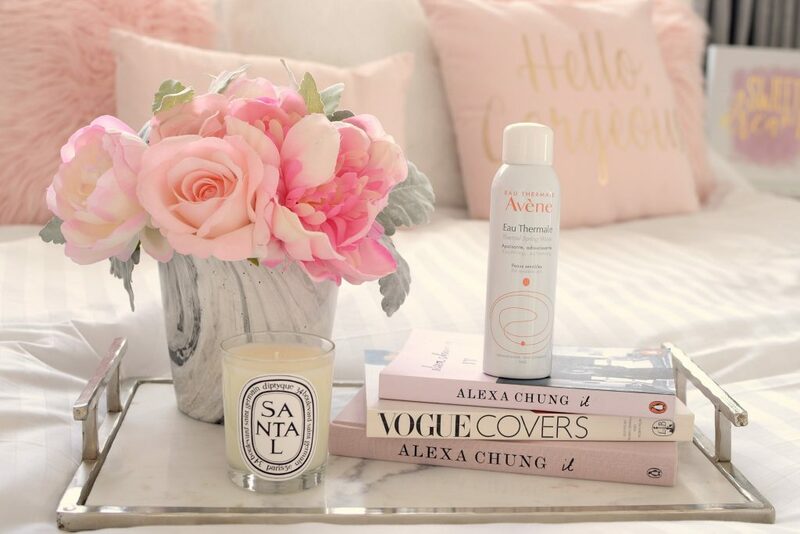 For those that don’t drink enough water, especially during travels, the Avène Thermal Spring Water will help to instantly hydrate and revitalize the skin. Even if you don’t suffer from dehydrated skin, it’s a lovely mid-day pick-me-up. It can be spritzed onto freshly cleansed skin or overtop of makeup. It soothes, refreshes and calms dry, irritated skin and is an excellent way to freshen up dull, tired and over sun-exposed skin. If you spray on immediately after applying your favourite moisturizer, it allows your skin to soak up all the benefits. If you apply throughout the day, it helps to keep your foundation looking fresh and locked into place. It’s also quite soothing in the evening after a long and stressful day. If you’re looking to keep your skin happy, soft and hydrated, give this water a try. It retails for $16.25 for 150ml. Clinique Acne Solutions Clinical Clearing Gel sadly to say, is one of those products that seems like it’s going to be in my skincare collection forever. No matter what I do, I can’t seem to kick those nasty blemishes. I’m lucky enough that I don’t suffer from acne, but that doesn’t mean I don’t get the odd breakout from time to time. I was sent this clearing gel years ago and have already repurchased it a handful of times. It’s formulated with salicylic acid that helps exfoliate the skin for healthier cell turnover. It clears away any dead surface cells that can cause clogged pores, while helping to normalize excess oil production. 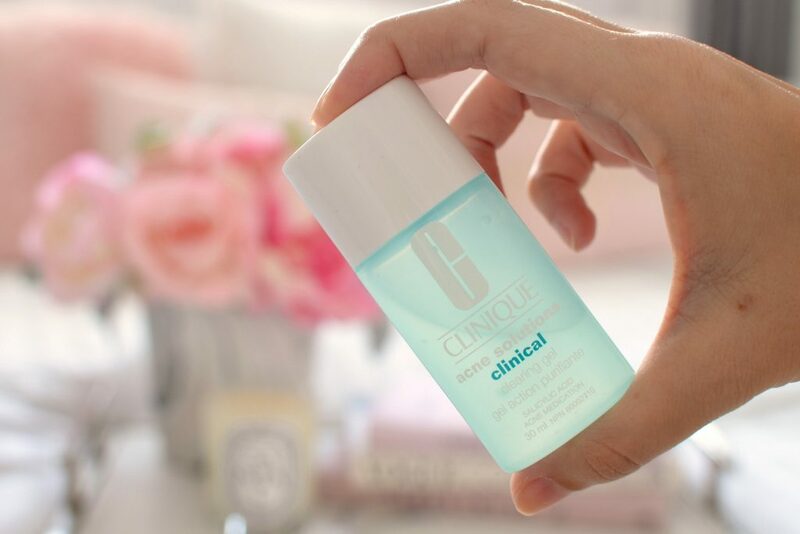 Although it can be used daily to help prevent future breakouts, I use the Clinique Acne Solutions Clinical Clearing Gel more as a spot treatment. Its unique alcohol and water base absorbs into the skin immediately, while witch hazel water helps to minimize surface oil to prevent new blemishes from forming. It works fairly quickly, overnight you’ll start to see dramatic improvement with less redness, and by day 3 the pimple is completely gone. Like any salicylic acid treatment, it can be drying, so make sure you moisturize after every use. It retails for $33. A few summers ago, I went to a Garnier retreat, where I was introduced to the Garnier Ombrelle Ultra Light Advance SPF 30 Face Lotion. This quickly became my go-to sunblock of choice. Although it can be difficult to find in stores, probably because its so popular and always sold out, the hunt is totally worth it. Its ultra-lightweight and fairly thin, almost liquidy consistency is only one of the many reasons why I love it. Not only does it blend into the skin and penetrate deep down for all day hydration without looking greasy, it looks amazing under foundation. Unlike other sunscreens that can pill, ball-up or leave a white caste, this one absorbs within seconds and is completely transparent once blended in. Even though it protects against both UVA and UVB, it doesn’t clog pores or feel heavy on the skin. Don’t be one of those 50% of Canadians still not wearing sunscreen. 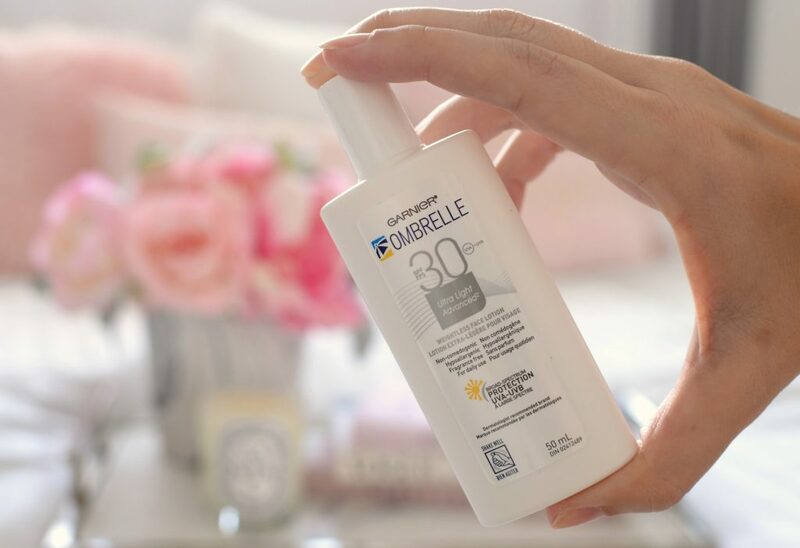 I know in the past, sunblocks tended to be thick, goopy, greasy, and would often leave behind an oily and white residue, but honestly the Garnier Ombrelle Ultra Light Advance SPF 30 Face Lotion is so lightweight you wont even remember you have it on. Even if you’re not going to wear sunscreen on the rest of your body, don’t skip applying it to your face daily (and this goes for 365 days of the year, not just summer). This sunblock leaves your skin moisturized, nourished and hydrated, and acts as the perfect base for your foundation. It retails for $19.99 for 75ml.